The trick is pretty simple. 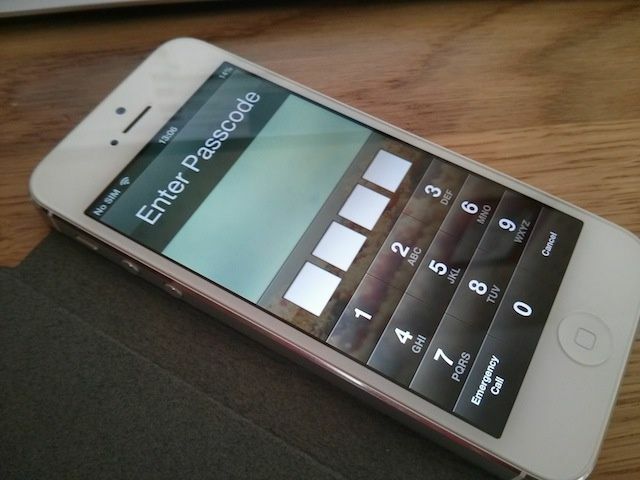 All you have to do is unlock the iPhone to bring up the passcode lock screen, then tap emergency call. Now hold down the sleep/wake button until the the ‘slide to power off’ option appears, then hit the cancel button. Try to dial an emergency number like 112, but hang up right after hitting the call button. Now repeat the first step — try to unlock the iPhone, then hold down the sleep/wake button — but press the emergency call button before the power off option appears. The iPhone will then be unlocked, and you’ll be within the Phone app. As Tom from The Verge notes in the video, within the Phone app you have the option to view and call contacts, listen to voicemails, and see photos. You can’t access the home screen, so you can’t see text message or emails, but it’s still a pretty serious flaw. There was a similar bug in iOS 4.1, and Apple had to fix it with iOS 4.2. Hopefully it won’t take the Cupertino company long to do the same this time around.